Heraklion is the largest town of Crete and is the main business and social centre with a population of approximately 130,000. The Heraklion Archaeological Museum houses the most famous findings from Knossos, Phaestos, Malia and Zakros. Knossos site is on the outskirts of the city while the Venetian fortress dominating the port is just a short walk from the city centre. Heraklion’s modern port and the nearby airport make this city the natural gateway for visitors. Modern city hotels and beach resorts abound in this area which is full of restaurants, shops and tourist attractions. Matala is 70 km from Heraklion and was the ancient port of Phaestos and Gortys. A small fishing village until the 60s it was a popular spot for the flower children of that era. At the north end of Matala beach there are caves which are believed to have first been inhabited in pre-historic times. Nowadays Matala is a tourist destination with many hotels and rooms available. The semi-circular beach and protected bay with its many restaurants and nightlife make Matala a popular destination. 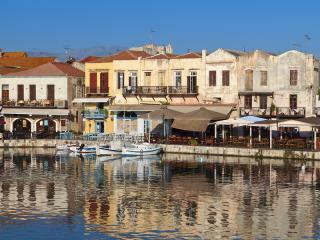 Chania is the second largest town in Crete and its old Venetian port has preserved its character and charm. The visitor can easily identify buildings dating back to the times of Venetian or Turkish occupation, many of them now turned into little traditional hotels or waterfront tavernas. 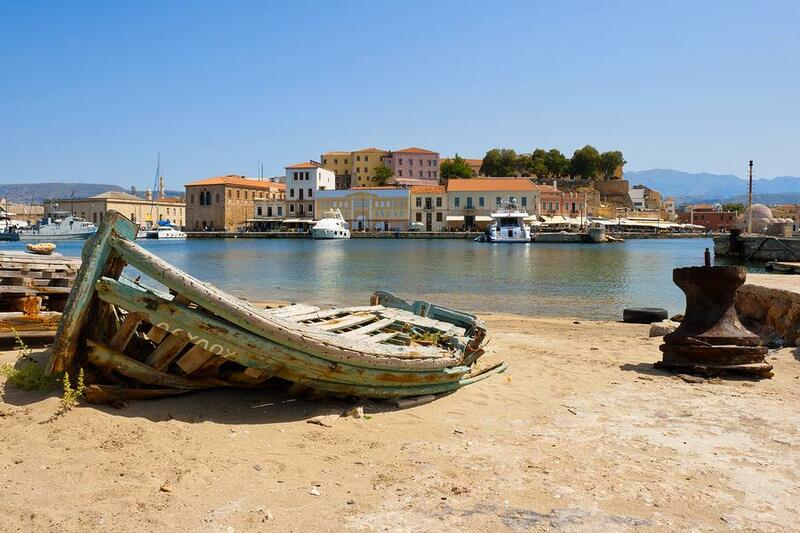 The Historical and Nautical Museum, the Municipal Library, the Halepa neighbourhood and the escavation site of Kidonia in Casteli are some of the highlights of Chania. The Samaria gorge can be visited from Chania either by taking a public bus or a tour. You will need to allow a full day for this trip which involves walking the gorge starting at Omalos and it will take you approximately 3-4 hours to reach the other end of the gorge - the sea-side village of Agia Roumeli. 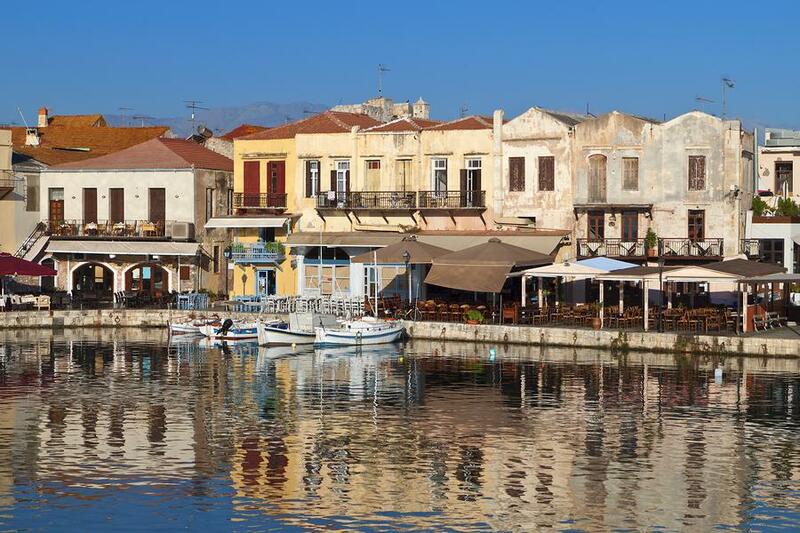 Rethymnon, Crete's third largest town offers the visitor a unique combination of a leisurely holiday atmosphere, warm hospitality and a lively nightlife. It is a maze of narrow streets, Venetian monuments and the occasional minaret adding a touch of the Orient. 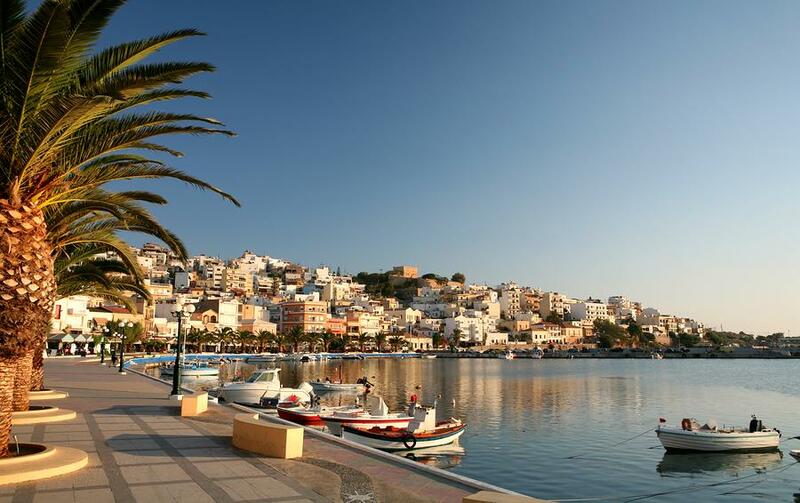 It has a long sandy beach extending east of town for several kilometers where most of the major hotels, apartments, tavernas and bars can be found. Here the visitor can discover Venetian monuments, Byzantine churches and Turkish dwellings from a bygone era. 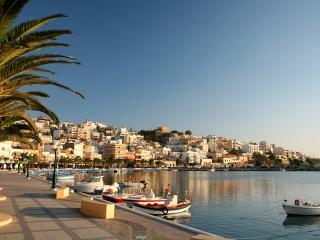 Elounda is a small beautiful Cretan village, which has developed to be one of the most exclusive resort areas of Greece. It enjoys an excellent climate year round which makes it a favourite destination for many holiday makers. 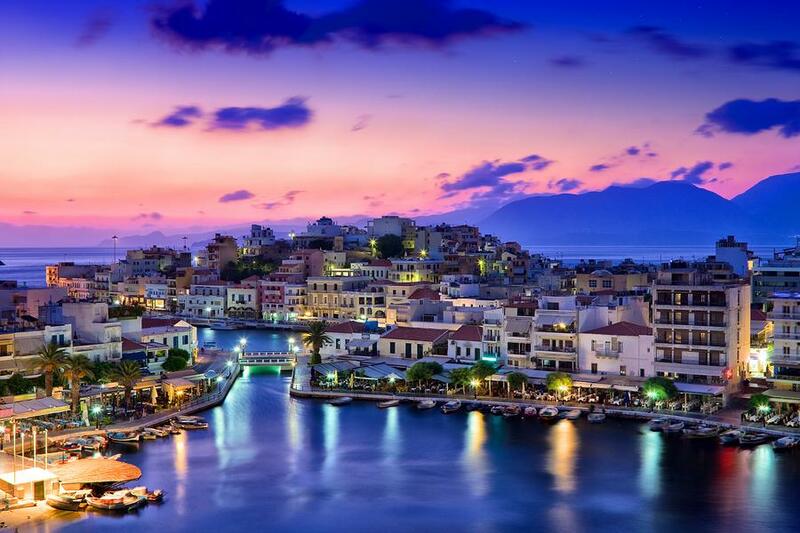 A few decades ago Elounda used to be a fishing village and to this day one can enjoy fresh fish and seafood caught by the local fishermen who live in the area. Today it is a bustling tourist resort with top class hotels, excellent restaurants and many tourist shops. 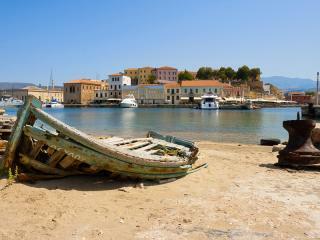 Khersonisos is just 25 km east of Heraklion a cosmopolitan spot consisting of several small beaches and villages. There is a choice of accommodation here for all budgets and expectations. The area is famous among tourists for its leisurely lifestyle with an emphasis on clubbing, extravagant nightlife and meeting people from around the world. 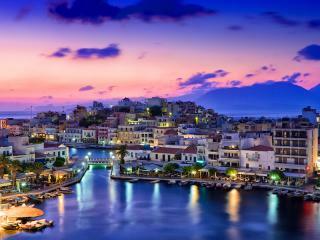 Malia is only 5 km from Khersonissos and it is one of the mass-tourism spots on the island of Crete. A beach and party mecca it is alive around the clock as most shops restaurants and hotels operate on a 24-hour basis. If you are looking for a traditional relaxing holiday this is not the area for you.